Our very first wellness retreat was a huge success and was completely SOLD OUT! Thank you to everyone for coming - you made it an amazing day. I started the day by teaching a Yoga/Pilates fusion class outside. Set overlooking a picturesque valley at The Hangar in Arthur's Point, Queenstown, the retreat guests were treated to a stunning view of the Shotover River, and the weather couldn't have been better. I blended evidence-based exercises to challenge core and pelvic stability with fun sun salutations and balance exercises for a fully holistic class which left everyone smiling. The morning yogalates class was followed by an inspiring nutrition workshop by Queenstown Nutrition founder Michelle Jospe. I chose her over the many nutritionists available due to her special blend of science and fun. She helped dispel popular myths about nutrition (No you don't have to eat breakfast if you're not hungry) and she taught our guests how to make a healthy lunch for the week. 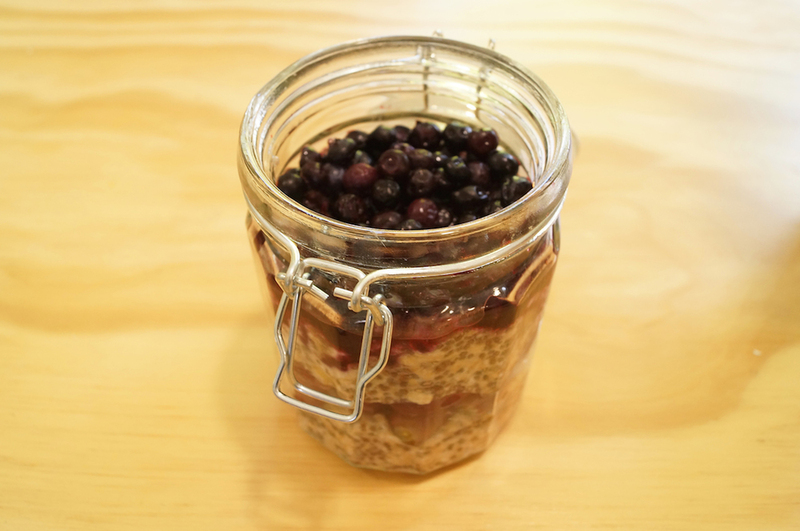 This included salad in a jar, healthy fuss-free breakfasts: chia puddings and overnight oats. A healthy lunch of salads and fig balls was followed by out mental health workshop where Elizabeth Denton stressed the importance of fostering healthy relationships. Our guests were then treated to a two hour relaxation session at Nugget Point Boutique Hotel and Spa. We finished the day with a stretchy and relaxing yin yoga class by Clarrissa Benke of Go Yoga who even supplied our guests with comfy blankets and eye masks for well deserved savasana. As our retreat guests wandered slowly away in a daze induced by 'yoga brain' thanks to yin, I felt so inspired by each and every one of our guests. They had prioritised themselves over the hustle and bustle of weekend commitments, and I was so moved by each of them. On planes we're told to secure our oxygen mask before we help others, and this goes for our health and wellbeing too. Wellness retreats are the perfect way to recharge your batteries so you can escape the feeling of being overwhelmed by relationships, commitments and work. The inspiring women who attended our retreat ranged in age from 20 to 50, and by attending the retreat they prioritised their health and wellbeing so they could escape the cycle of stress many of us are in. Hopefully now, they all feel inspired to maintain the wellness and balance in their lives. This doesn't mean eating kale salads all day, but it does mean maintaining a healthy balance of their mental and physical health. I was so inspired by everyone who attended and their amazing commitment to their health and wellbeing. Thank you so much to everyone who made this day so exciting and fun. Thank you to every of one our guests, plus the passionate people who supplied us with luxurious, natural gifts for our retreat gift bags: True Holistic Skincare, Burning Love Candles, Global Soap NZ and Only Good NZ. i can't wait for our next retreat in 2016! Older PostWhat causes running injuries?